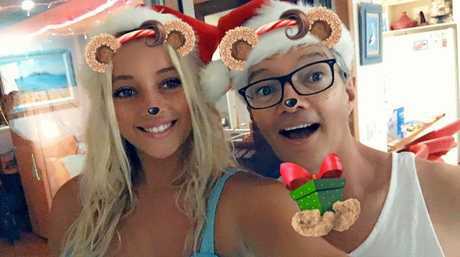 ONE young woman from Byron Bay has set about helping her terminally ill father complete his bucket list. Bianca Burton created a Go Fund Me page to raise money to send her father to Antarctica and to the Northern Hemisphere to see the Aurora Borealis. "I just want to do everything I can to help him go and do anything, I just don't want to sit here and wait, I want to help him," Miss Burton said. "I will feel like I've accomplished something and be at peace when he goes if I've helped instead of waiting for it to happen." Nic Burton was diagnosed with Motor Neuron Disease in August last year, the same illness that caused his sister to pass away not long ago. Being a pharmaceutical representative, he spent his life helping others with medicine only to have ended up with a disease with no cure. "This poor man has lost his entire family to illness and now it's his turn, and I want to help him do what no one else in his family got to do ... to check his bucket list off." Miss Burton said. On top of all of this he cancelled his life insurance just months before he was diagnosed to financially support his unwell wife through her own treatments. "She's got a lot of back problems, she had an operation awhile back that her doctor messed up and cancer scares," Miss Burton said. "I'm so heartbroken, it's so hard but I'm trying to stay really strong while I can for him." Initially Miss Burton was in shock to see how strong and positive her father was dealing with his diagnosis. However since then, she has noticed his spark fade as he slowly succumbs to his condition. "He was keeping a really positive attitude and I was in shock at how well he was dealing with it," Miss Burton said. "But I went down to Melbourne to visit him a few weeks ago and he has gone downhill a lot, he is losing his happiness, he's not joking around any more or laughing." Already Miss Burton has raised close to $3000 to go towards the two adventures. "I literally raised $1000 on the first day, I couldn't believe it," she said. "It's been incredible, I can't believe it, I wasn't even going to do it, I thought what have I got to lose and I posted it. "Everyone is amazing in this town, everyone has got each other's backs, so it's really beautiful." She has estimated for each trip it will cost around $3000 to $5000 for one person. "I'd like to get more obviously so he doesn't have to go by himself, he needs looking after so my mum could go with him or something." Miss Burton will be having a fundraiser at the Beach Hotel on April 22. "I've got a keg from Stone & Wood and I've got a bunch of raffle prizes," she said. 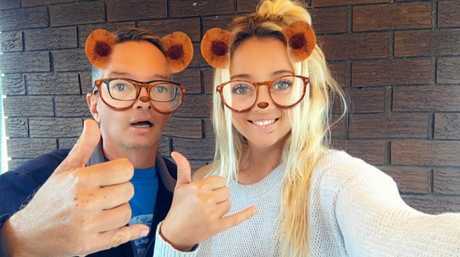 She said she hopes to surprise her parents with the money when they come back from their four-wheel-drive trip down the south coast next week. "This is all a surprise, he's been away and he is coming back next week so I'm hoping to surprise him with this." To help Miss Burton send her father on his two bucket list trips you can donate on the Go Fund Me page, https://www.gofundme.com/help-my-dads-bucket-list.